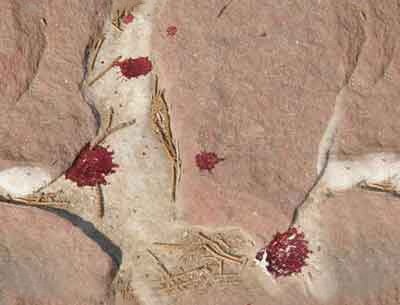 The great migration of peoples totally changes the development of the antiquity. The map of Europe totally alters within a few centuries period; many tribes and peoples loom in sight and then disappear. One of these peoples is the Goths. 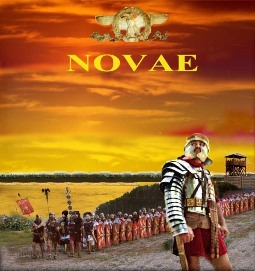 Throughout decades Novae was the center of the Gothic Federates in the Roman Empire. Being the main north-eastern frontier post of the Empire, Novae witnessed the Great migration of peoples and the collisions between the German tribes, the Scythians, the Slavs and Rome, and later on Byzantium. The first Gothic invasions on the Balkans date back to III century. In 250-251 the Gothic chieftain Kniva invades the Balkan provinces, conquers the capital of Thrace Philipopolis and defeats the armies of Decius, who becomes the first ever Roman Emperor died in battle. During the same campaign, despite the siege by the troops of Kniva, Novae are successfully protected and it does not fall into the hands of the Goths. In the course of the decades the Goths made a few more invasions in Misia. In 376 they receive the statutes of federates and finally settle within the boundaries of the Roman Empire with the permission of Emperor Valentinian. These same federates repeatedly rise in rebellions, and for a considerable period they become sovereigns of Misia, Thrace, Hemimonth and Macedonia. The most successful leader of these rebellions is Alaric I, nominated for king by the Thracian Goths and other Germanic tribes, who in 410 A.D. conquers the heart of the antique world Rome, for the first time. In the middle of the 4 century, posterior to the persecutions of Christians living in the Gothic lands north of the Danube River, Christian Goths settle in Down Misia. Their Episcope and leader is Wulfila, the author of the Gothic alphabet and first translator of the Holy Scriptures into Gothic language. Wulfilla is a missionary, who baptizes not only Goths, but also other inhabitants of the local territories, participates in a number of oecumenical councils and is one of the recognized supporters of Aryanism. The Misian Goths are the first baptized representatives of the Germanic tribes, setting the scene for Christianization of other Germanic tribes - Gepidies, Vandals, Rugues. Ostgoths appear on the territory of the Roman Empire in V century, when under pressure of the Huns they cross the Danube river. A compact group of Eastern Goths settles in the Balkan provinces, joining their western brothers, who had moved to the area one or two centuries ago. After 456 the Goths found a kingdom in Panonia, uniting ex-Huns western and eastern Goths under the leadership of Theudemir. In 473 г. the panonian Goths move to Macedonia, where they pronounce for king the son of the deceased Theudemir Theodorich, later known as Theodorich the Great. He takes the lead of his people to Lower Misia, making a new attempt to form a kingdom in 474-476. Because of the favorable strategic position, Theodorich chooses Novae to be his residence and the capital of the Kingdom of the Goths in period 476 to 488 A.D. In 483 Theodorich is pronounced for general of the armies and patrician by Emperor Zenon, and the next year he is elected consul and donated with Danube Dacia and certain parts of Lower Misia. From his capital Novae, Theodorich holds negotiations with Constantinople, coming to the agreement to rule and represent the emperor in Rome, in case he succeeds to defeat Odoakr the former conqueror of the Eternal City. And thus in 488 Novae become the place from where the famous campaign of Theodorich against Rome starts. As a result the Western Roman Empire falls under the rule of the king of the eastern Goths. The Goths shake the pillars of the Roman Empire and write the world history, and many analysts estimate the balanced and wise rule of Theodorich the Great as a ray of light in the dark medieval epoch. For about a century the center of the new Italic-Gothic country is Ravenna the most luxurious and splendid kingdom of the Goths. History owes to Theodorich the legendary Bible of Wulfila, a priceless monument of the Gothic literature the first German alphabet, and of the Christianization of the Germanic tribes. The Bible of Wulfila (Codex Argenteus), currently kept in Uppsala (Sweden), is a copy of the translation of the Gothic Episcope from the time of the Gothic Kingdom in Ravenna. It is a pattern of the native speech of the Goths, reproduced on purple pages with golden and silver letters. The glory of the Gothic ruler is attested by the fact that Theodorich is a prototype of Dietrich von Bern in the ancient Germanic epos "The Song of the Nibelungs". Dietrich is one of the bravest knights of the saga, together with Hildebrand, Waltharius (Walter), Gunther and Hagen. On Sunday, June 29, at 10 p.m. the First Festival of Ancient Rome in Bulgaria "Eagle on the Danube" was officially closed. The program for the day included the Stele Votiva rite, performed by Legio Prima Italica at Novae. Among the guest was H.E. Stefano Benazzo, Ambassador of Italy to the Republic in Bulgaria. The program went on in the afternoon with gladiator fights at Kaleto arena, performed by skilful stuntmen. Later in the afternoon was the Final battle between legions and barbarians. It took a great toll, but Legio I ended as the all expected victor in this uneven fight. At 8 p.m. started the last performances by the Italian guests. The Antique Dance Group from Villadose, Rovigo, earned well-deserved applauses with their Roman and Oriental dance show. Their fellow-citizens from the Group for Social Anthropology played some epigrams by Marziale. The reason these 2 groups to be present at the festival is the relation of Villadose with Legio I. The soldiers from the legion who had returned to Italy after serving their duty had been awarded lands in the site of nowadays Villadose. The festival was closed with a magic ritual dedicated to Mithra, performed by Legio I, and giving away gifts to the lottery winners.